Emotion, not reason, motivates independence movements. The desire for Quebec's independence is an ethnic project: that of the francophone nation composed of the roughly 77 per cent of Quebec's people sharing a common language, history, and culture, and who want to maintain its existence in North America. The project has no meaning otherwise. Of the 107 countries that have come into being since the beginning of the twentieth century, only 28 have done so by referendum. Twenty two have had results above 90 per cent (10 of these had 99 per cent or better), and four above 70 per cent. The two stragglers are Malta (55 per cent) and Montenegro (55.5 per cent). In the latter, 43 per cent of the population considered themselves ethnic Montenegrins, so, for this group, it was a perfect score. When it is time to create a new country, referendum results are unambiguous. People know what they want, and they say it clearly. There is a generally accepted principle of democracy that major changes require more than a simple majority of 50 per cent plus one. The closer a result is to 50-50, the more it approximates a heads or tails random choice. In the ultimate case of 50 per cent plus one, should a country come into existence because one or two persons did or did not go to a party the night before and consequently did or did not vote because they were or were not tired the next day? In many places in the world, a 50+1 result would lead straight into civil unrest. The desire for Quebec's independence is an ethnic project: that of the francophone nation composed of the roughly 77 per cent of Quebec's people sharing a common language, history, and culture, and who want to maintain its existence in North America. The project has no meaning otherwise. The YES votes in a referendum come mainly from this group. Favourable results of 50, 60, and 70 per cent represent respectively 65, 78, and 91 percent of this nation. In 1995, the result was close to 50 per cent, representing a significant majority of this nation, but a relatively modest score compared with those expressed by other, more determined peoples in the twentieth century. 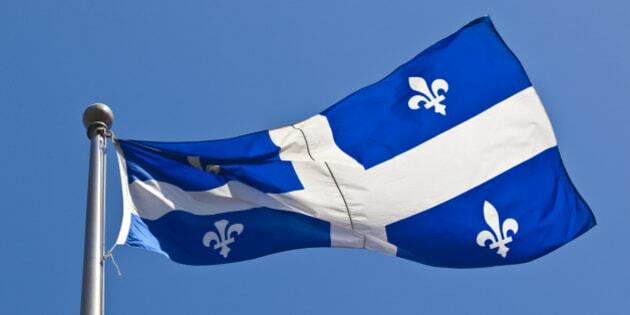 Because independence concerns the whole of Quebec, it must take into account the two main groups of citizens that do not form part of this nation: the anglophones and the relatively recent immigrants regardless of linguistic affiliation. Anglophones have always overwhelmingly voted NO, and nothing suggests a reversal of that state of affairs. Immigrants are courageous people facing enormous challenges as they make their place in Canada. They seek stability. They don't need to add another adventure to their own personal one. For them, voting NO is the most reasonable choice. Let us also keep in mind the small number of aboriginal people who will have a large political say in all this. Looking to the future, all factors converge to augment the proportion of NO votes. The average age of the population is going up. As shown in the exit polls of the Scottish referendum, older people and retirees are not adventurous enough to try creating a new country. In Quebec, there are around 50 000 immigrants every year, a million in 20 years, three million in 60 years. Little by little Quebec's cultural landscape will be transformed, further diminishing the proportion of YES votes. Emotion, not reason, motivates independence movements. There must be a cultural conflict and some form of oppression to stir people to action. The time is long past when Canada's anglophones dominated and humiliated francophones. When Quebec modernized, it created institutions allowing it to develop and protect its specific culture, eventually dissipating the emotional tension of the time without creating a country. The highest emotional point was the failure of the Meech Lake Accord which led to an explosion of separatist fervour. It is hard to imagine a recurrence of that situation nowadays. Even though it is evident that there is a difference in cultures between Quebec and the rest of Canada, both sides live in relative mutual indifference -- not a source of major tensions. Unless the rest of Canada transforms itself into a subsidiary of the Republican Party, which sometimes seems to be Stephen Harper's plan, fifty more years of boring accounting discussions about equalization payments will not generate the emotion needed to produce a new country. Quebec's independence project was founded in the local context of modernizing its institutions and in a global context of both decolonization and a worldwide cultural revolution (the sixties). Quebec's independence was entirely plausible during that period's effervescence. Two generations later, the independence parties go around in circles concerning an upcoming referendum. Should it be in a first or second mandate, or when people will be "ready"? Must the project be explained yet again until those blockheads finally see the light? Should the nationalist sentiment be revived by creating an interior enemy with a Quebec Charter of Values? What marketing strategies are needed to sell the product? People with those kinds of considerations have lost their way. 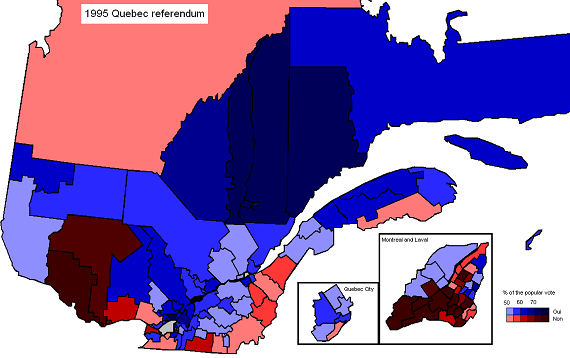 Quebec passed "peak independence" in 1995. It is downhill all the way from here. It will take an entirely different vision and extraordinary political circumstances to motivate the creation of a new country.